The Highways Department's consultation period ended on February 10th. The responses have been collated by the Highways department. 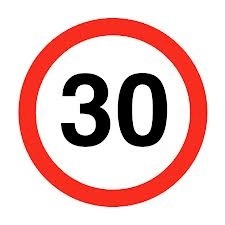 Following a site visit, together with speed monitoring and a consultation with residents from Monkhill, the County Council have decided to keep the speed signs in their present location. However, once the road surface has been improved, which is expected to occur later this year, a red wide band will be painted across the road together with a 30 mph roundel. Details of the decision can be seen on the Parish Council notice board in Monkhill. Please keep to the speed limits as you drive through the villages. Patricia Martin of Monkhill attended the PC meeting in July and expressed her concern about the 30 mph at Monkhill not being moved. The chairman explained the background to the decision of CCC. The road is due to be resurfaced in October and the 30mph red roundel on the road will be installed. Patricia is very concerned about this decision and will possibly get a petition up in the village to support the moving of the signs and put a flyer to all households to get a better response than last time when only 4 residents responded with comments.